Are you struggling with your piano practice? Hands up who is over 18 and busy as a bee every day! Most adults live a busy life: working, running errands, looking after kids or other family members. Perhaps they volunteer a few hours each week. And the house doesn’t take care of itself! 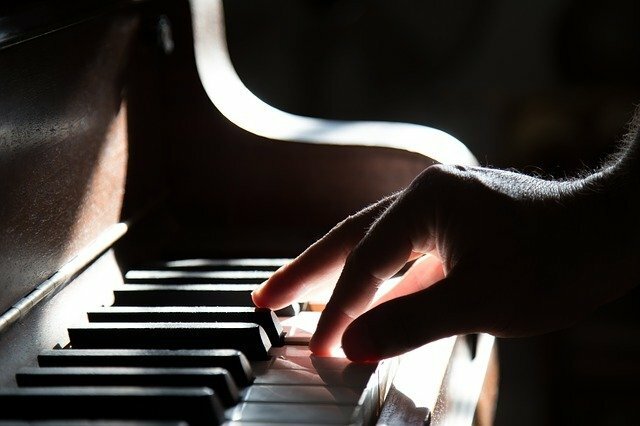 Whether it is jumping on the piano first thing as you come home from work, or dedicating half an hour in the morning to tickling the ivories, the key to consistent quality practice is to create a practice routine. Think about what time of the day you’re most alert and in the mood for piano practice. It’s no good setting aside an hour at 5 am in the morning if you’re not a morning person. Speak to the other members of your household. Ask them not only to be accommodating but to encourage you and help you stick to your routine. As with any good habit, it takes a bit of willpower during the first few weeks of creating a new pattern but generally, once you’re in the swing of things, it’ll become quite easy to continue. But you do have to give it a proper go! So commit to 3 weeks minimum of a new routine before you decide that it’s not working. Having a good piano practice routine is one thing. But to get the most out of your practice sessions, you’ll want to establish a plan of what you want to achieve. Too often students sit down at the piano without a clear goal in mind, yet goal setting is crucial for quality control. Ask yourself this question: what do I want to have achieved by the end of my session today? Perhaps it’s those tricky 3 bars on page 2, or maybe you want to revise the rhythm at the start of your piece. Just give yourself a goal, any goal! Don’t just mindlessly start playing. If you struggle a little with planning, ask your teacher for help! They will be able to give you clear goals for the week ahead, and you can work around those goals in your practice. Don’t forget to keep track of what you do. You can write it down in a diary, or in the student portal if you’re a student of Piano Ecademy, or you can add a post-it note to your score. That way, you can start the next day right where you left off, making planning a lot easier! Practising is not a mindless activity! It is tiring precisely because it requires so much concentration. You’re much better off spending 10 minutes using 100% concentration than 1 hour with a mind that is constantly distracted. If you’re new to a piano practice routine, you’ll find that your ability to concentrate will be limited. Like anything else, you must train your focus. Start small and take note of when your mind starts to wander. When it happens, stop practising and give yourself a break. Slowly but surely, you will build up more stamina, and you’ll be able to practise for longer. If you’re stretched for time and can’t quite find the time to sit down for more than 20 minutes, adopt the principle of “little bits often”. It can be very empowering. “Little bits often” means you perform micro-practice sessions multiple times a day. So instead of sitting down for 20 to 60 minutes at a time, instead you commit 5 minutes here, 3 minutes there. The key to making this type of practice work is in planning what you want to do. Set yourself very small, relatively easily achievable goals. Rather than work on 5 bars, work on 1 and spend 5 minutes getting that absolutely perfect. I wouldn’t recommend this type of practice as a long-term strategy, but if done well, “little bits often” can mean the difference between a little bit of super concentrated practice and NO practice at all. Finally, please don’t stress yourself out if you can’t practice at all for a few days – the world will not collapse! We all will have weeks where piano practice is limited, and that’s ok! You’re an adult with responsibilities, and sometimes practice can’t be the number 1 priority. The key is to allow yourself to de-prioritise and, when time becomes available again, to RE-prioritise your piano practice. Oh and speak to your teacher if you’re struggling for time. They may be able to give you different assignments to work on that don’t require too much of a time investment. What other strategies do you use to keep on top of your practice when you’re pressed for time? Let me know in the comments below!